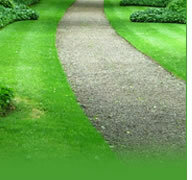 Our mission at Doan's landscape is to provide you with an aethestically pleasing and sustainable landscape! Since 1986 our commitment and dedication to the details of every job has given Doan's landscape a reputation for quality work. We have locations in Flint and Grand Blanc but provide landscaping services throughout South East Michigan, including Genesee, Oakland, Lapeer, Livingston, and Shiwassee counties. We are proud to have many satisfied residental and commercial landscape service customers and will happily furnish you with a list of references on request. The Michigan Nursery and Landscape Association (MNLA), established in 1922, is the statewide trade association that represents over 8,000 licensed green industry firms in Michigan. Segments of the green industry that we serve include landscape contractors, landscape management, landscape design, garden center, golf course maintenance, irrigation, greenhouse production, grower, interiorscape, nursery production, supplier, turf management, water gardener, and snow plowing firms. Genesee County Area Landscape & Nursery Association of Michigan(GALNA), Members represent all of the diverse business professionals that make up what is known as the "Green Industry" in Genesee County Michigan and surrounding areas.